Medical Media Images has created a new series of Color MRI Images of the Knee, They show the Anterior Cruciate Ligament (ACL) and Posterior Cruciate Ligament (PCL). Usually only one of these important ligaments can be seen completely on an MRI image, MMI has graphically modified the MRI to show both. This allows the viewer to get a better understanding of where the ligaments are located and what their functions are. 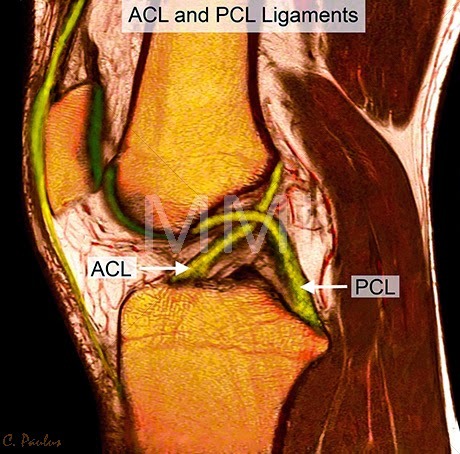 Since the ACL ligament is commonly injured in sports, this Color MRI and others in the series allow Sports Medicine Physicians and Orthopaedists explain the role and location of the ACL. The Color MRI Image above shows the Knee from the side. The front of the Knee where the Knee Cap is located is the left, the back of the Knee to the right. The large bone on top is the thighbone (femur). The large bone at the bottom is the larger of the two lower leg bones (tibia). The ACL and PCL Ligaments are shown in yellow. The ACL is attached to the front of the tibia and then travels to the back of the femur. 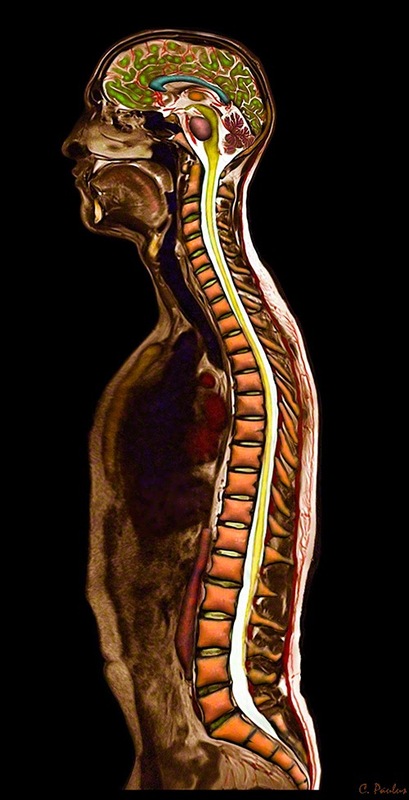 Images like this one are ideal for Medical Websites, Publications, Prints and as Office Posters!